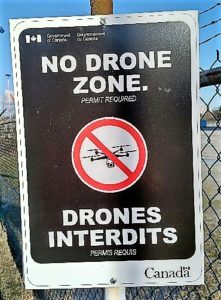 Transport Canada has released five new recreational drone operation rules. The rules aim to enhance safety, and are effective immediately. Interesting thee rules do NOT affect operators flying drones for commercial, academic or research purposes. They also do not affect members of the Model Aeronautics Assn. of Canada (MAAC) in good standing who operate at MAAC — sanctioned field or events.